Now more than ever, high employee turnover is detrimental to organizations’ bottom line. Consider these tips to make sure your organization is doing everything they can to promote retention. 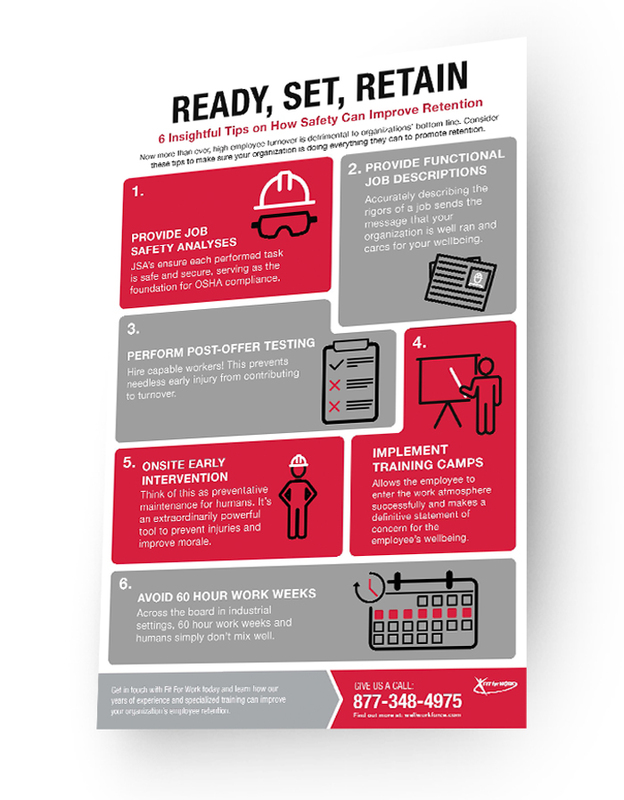 Download our infographic, "Ready, Set, Retain", for insightful tips on how safety can help improve your organization's rate of employee retention.